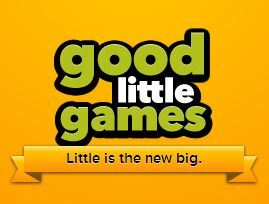 Good Little Games was set up in 2013 by Brett Gilbert (designer of the Spiel des Jahres Awards recommended Divinare) to showcase free print & play micro games. 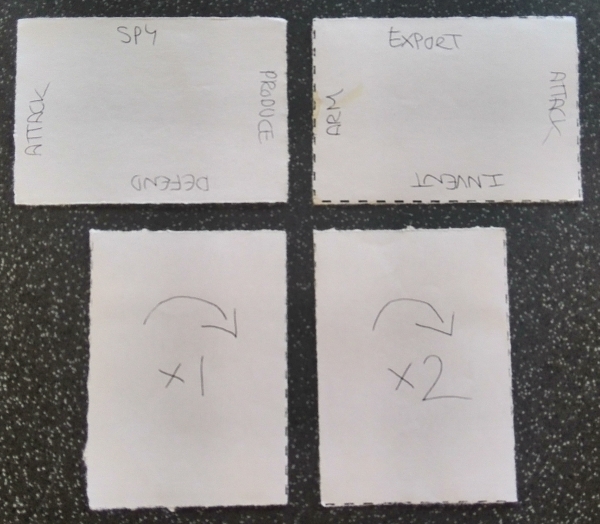 Each game has a maximum of 18 cards, so can be printed on two sheets of A4 (plus the rules), although they may need a few extra bits (chits or dice you can easily cadge from other games). The site hosts the game I created with the help of Matthew Dunstan, The Empire Engine. I won’t talk about that here (you can read the design diary if you like), but I did want to spend a bit of time looking at some great games on the site. 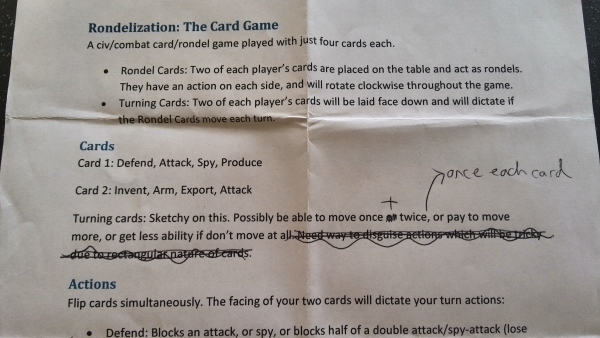 Designed by Brett Gilbert, this is a fast and clever little game for exactly three players. 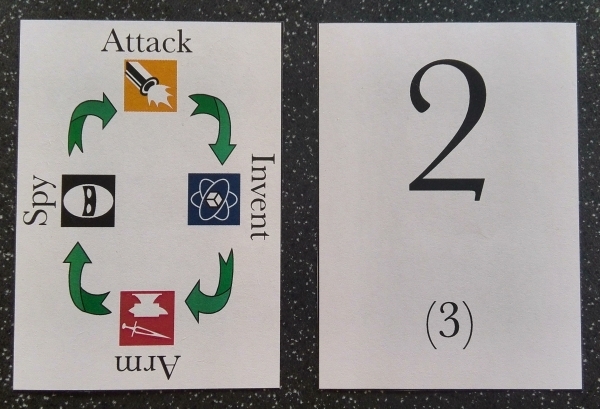 There are seven ‘prop’ cards, two of which are variously needed to perform the 10 tricks (the rest of the cards). Each of you has two cards, but who has what – and what’s the one left in the middle? And therein lies the game; what do you need – and where is it? Sometimes you get lucky, normally not – and yes there’s a memory element, but it’s very small. I don’t like memory games, but I thoroughly enjoy playing The Other Hat Trick. And even if you don’t, it takes as long to play (about 10 minutes) as it does to print out! 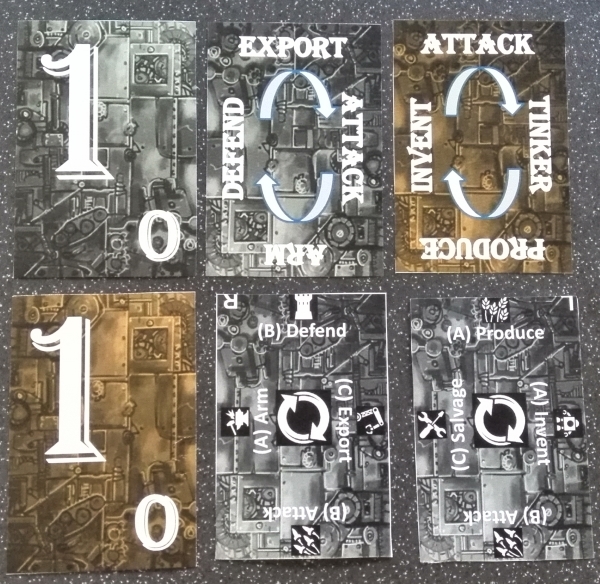 Ramping things up a bit, David Mortimer’s Pocket Imperium lasts longer (30+ minutes) and will need you to grab a pile of counters (in three colours) to go with the cards. It also needs exactly three players, but if you’re a fan of 4X (empire building) games it’s well worth making it happen. Nine cards make the 3×3 map, plus each player gets a set of three identical cards; expand (get 1-3 ships), explore (move 1-3 fleets) and exterminate (kick 1-3 butts!). Each round, you will pre-program the order in which you want to do these actions, but you need to balance the order you want with the order you think your opponents will choose. Why? Because you act simultaneously and the fewer people who turn over the same action card at once, the better the action will be. If you all pick expand, you get one ship each; but if only you choose it, you’re going to get three. Each round you’ll each choose a map card to score, so it’s very much about conflict and area majority. The game really ebbs and flows, and scores can be very tight, so you really have to pick your targets carefully. Again, this wouldn’t usually be my kind of game, but I’d always be happy to play Pocket Imperium. 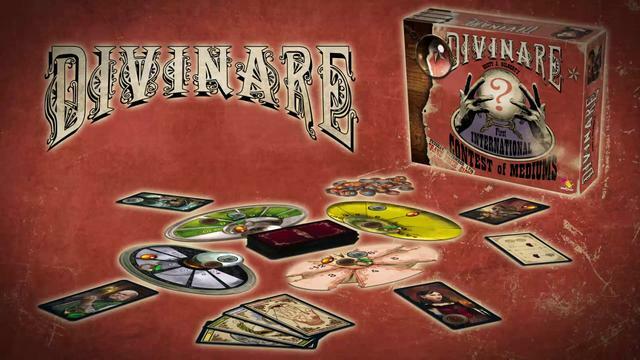 And even better, it should be getting a commercial release from LudiCreations at Essen 2014. This is a solo game from London on Boarder and P&P game designer Adam Taylor. Muses needs just 10 minutes to play, one sheet of paper to print (as there’s only nine cards, the muses) – plus a couple of dice and three tokens. One muse is randomly drawn each round. Each has a ‘claim’ condition on one-to-four of its sides; you’ll roll two dice and if you’ve met these conditions (eg: total higher than 9; both dice are even; odd pair), you can claim a muse of your choice. Any you don’t claim are rotated; and if they rotate to a side with no claim condition, they’re gone for good. Muses are worth points (you need a total of 20 to win), but those with lower point values give one-shot modifiers to your dice rolls which can be invaluable. But they only total 23 total points, so you can’t miss many if you want to win! This is a great little solo filler game. Oddly not called Keydefrance, this fun little racer comes from renowned designer Sebastian Bleasdale – who has managed to make an 18-card game that plays four to six players (there are six bike cards) and still manages to last about 20 minutes. Each round starts with the player in last place in the race challenging the player in front of them by playing one of their two race cards (12 in total, numbered 0-11). Usually the highest number wins, but certain combos see lowest win, so it’s all about bluff and counter bluff. And whoever wins the challenge grabs a new card and faces the next player in line – so you could go from last to first in one round. There’s a little more to it than that (you can add mountains and sprints to spice things up, for example), but you see the idea; it’s a simple game of luck and out-thinking your opponents which is a good laugh in the right crowd and doesn’t overstay its welcome. 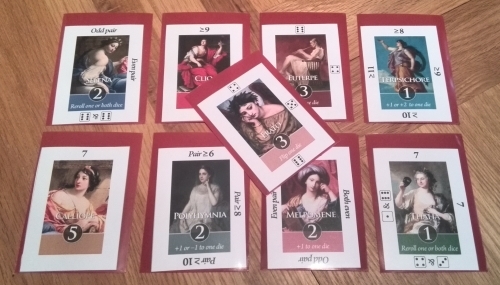 This is a really clever little abstract game for two or three players from Mo Holkar. All you need are the cards and rules, with a game again lasting about 10 minutes (although I expect it’s one you’ll play a few times back-to-back; we certainly have). There are 18 cards representing a mix of three shapes, three colours, plus sold or hollow (red solid triangle, blue hollow circle etc). One is put aside, one given to each player as their scoring card, and the rest make a draw pile. Then you take it in turns to flip a card and slowly build up a 3×5 grid (you may also move one card on your turn). When all cards are flipped, you score for complete lines in the colour/shape/shading on your scorecard. It makes for some interesting decisions throughout, but it gets even better if you play the advanced rules. Here you don’t get a scoring card; instead you’ll have a hand of three cards from the start, with the last card left in your hand at then end being your scoring card. If you like abstracts, this is a fascinating little brain burner. Am I a board game designer? Last night at our regular board game prototype/playtest Meetup, a guy Richard I hadn’t previously met asked quite innocently if I was a game designer. It’s not the first time this has happened at the group, but the response is always the same; I stumble over my words and fudge an “I dabble, but erm not really” kind of answer. Interestingly, the same guy runs a creative writing Meetup group and when asked if I write, the answer was an unequivocal “yes”. It’s what I do for a living, after all. But even if I didn’t, I think my previous incarnations as fanzine writer, college paper contributor and blogger would still make me feel qualified to answer in the affirmative. I’ve been attending the group for some time now and I think some of the suggestions I’ve made for other people’s games have been useful, so I certainly feel I’m contributing. But even as a game I’ve been working on (The Empire Engine) nears completion this, “Am I a game designer?” question continues to be problematic. Quite simply, if I answered yes, I’d feel like a fraud. The ‘Game Designer’ tag over at BoardGameGeek is certainly part of the problem. Because of the way the system works, it means the likes of Reiner Knizia (and his eight gazillion published games, some of which you can get in WH Smiths) has the same ‘designer’ status as Bob from Texas who self-published three copies of his ‘Noughts and Crosses Made Easy’ variant; the only difference being Bob would probably list himself as a ‘Game Publisher’ too. The BGG ‘designer’ functionality itself is great and I’ve found it very useful to track down games by designers I’ve liked. But the fact anyone can put their game up on the site and become a designer does muddy the water and I’m a little loath to become part of that, especially if I’m part of the problem on the faux designer side. On the other hand The Empire Engine is turning into something I’m proud of, so why shouldn’t I hang up a little bunting if it gets out of the door – even if it’s just to a ‘print and play’ website (which was always the intention anyway; and it’s looking like being a bloody good website too)? Is that a flash in your pan, sir? Another part of the problem is the other games I’ve tried to put together to date. Even after quite a bit of work they have without exception been flawed, flaky and generally funny looking – but worst of all derivative. They say everyone has a novel in them; maybe everyone has a game too – but does it make you a game designer? I’m blessed with a very strong playtest group, especially for a place as small as Cambridge (although as a city it clearly has more than its fair share of large, fizzing brains). 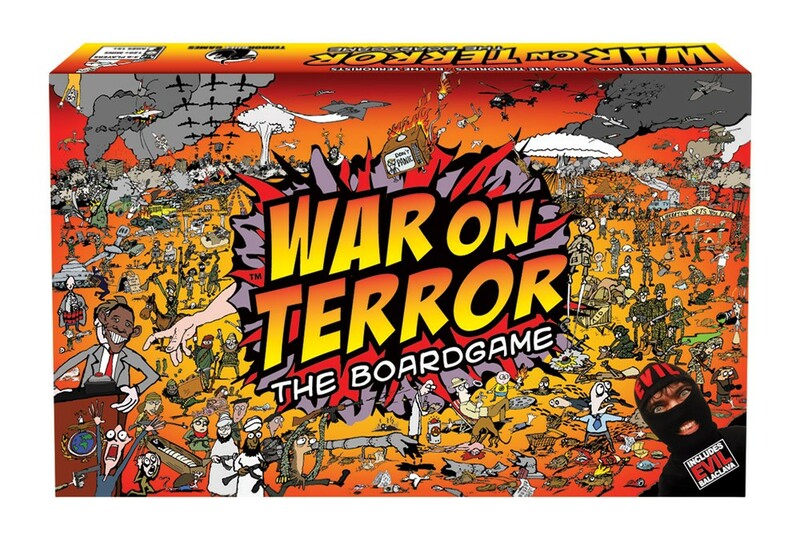 Designer Brett Gilbert has been practically buried by the praise he has received for last year’s Divinare, while Andrew and Tom from Terror Bull Games gave us both ‘War on Terror’ and ‘Crunch’. 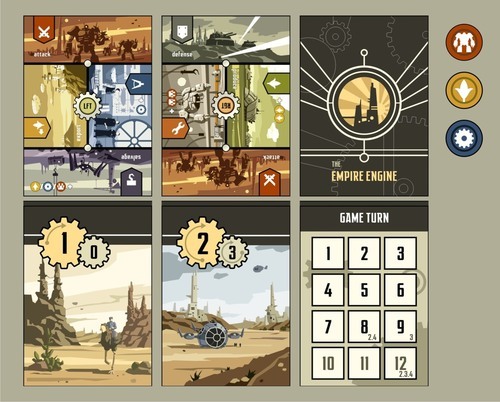 Matt Dunstan (my co-conspirator on The Empire Engine) is on the verge of his own triumph, while both he and Brett have also shown well in a variety of national board game design competitions. And that’s before mentioning occasional visitors such as Jonathan Warren (creator of the highly regarded, and rightly so, Inspector Moss: House Arrest) and Alex Churchill, whose ‘Space Dogsbody’ game really deserves a publisher. When these guys are all around I have a great time and feel privileged to see and experience their designs as they slowly come to fruition (or sometimes crash and burn). And of course there are others who attend, regularly or not, who are also bringing along ingenious and interesting idea and designs. I feel part of the group, for sure, but do I feel like a game designer? Not really, no. I’m acutely aware this could start to read as a desperate cry for a hug from mumsywumsy; believe me, that’s not my intention. And I’m also aware that, in the great scheme of things (or indeed any scheme of things), this isn’t one of life’s great unanswered questions. However, I’d be fascinated to hear any opinions you may have (not on me, on the topic!). When I picture a game designer I see someone published, or as at least recognised by the industry/their peers in some way (perhaps a competition win, or high placing). What I certainly don’t see right now is me. Maybe when I see our game up there on the website, or read the first trashing review of The Empire Engine, I’ll feel differently; or if I start to feel a second game I’m working on is going to come to something. Perhaps we can enter this game into a few competitions as well and see how it compares to its rivals. But for now, the next time someone asks I’ll be able to look them squarely in the eye and say, without a stammer or stutter, that no, I’m not a game designer – and that’s fine.